I know that you run the biggest technology company called Apple and you make the most gorgeous looking, also far more superior gadgets than your peers; but why did you launch an iPhone 4? I take the liberty to speak for other iPhone users who love the platform equally because we have hundreds of fun applications running (and there’s never a dearth of space on the iPhone). Many iPhone users (like me) have page after page after page worth of applications that they have downloaded (I know I am spending a measly $10 every month on buying paid apps but that’s all I can afford since you refuse to launch an Indian App store). Now that you have announced your intentions to deliver a new iPhone on the shelves by June 24, what will I do with my iPhone 3G? I definitely can’t part with it and I definitely can’t give the iPhone 4 a miss either. The only option is to buy or source one device somehow. You see, I can’t live in peace seeing iPhone 4’s pictures and reviews on these western sites and blogs. I have to get one of my own too. 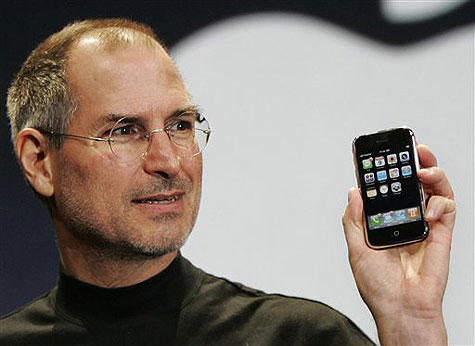 Mr Jobs, iPhone users in India have been looking with hope that you will reckon us as your market too. You see, we have been told by every other vendor that we are very important for him or her but you have never ever said the same to us. Wonder why? Are they lying to us or are you simply unmoved about our purchasing power? Three iPhone models have been launched in the last 2 years — yet you did not come to India to show us your love. Nor did you appoint an India representative with whom we could check the latest news about Apple. Am I not dear to you? Or is my $10 on apps/month not sufficient? We could have made our peace with iPhone 4 being launched in India at some later date but that bit of announcement is never a part of your agenda. Please don’t be so indifferent to us, we promise we will buy more paid apps for our iPhones. We have millions in our land who are capable to buy an iPhone. We love beautiful objects and iPhone tops the charts. Look forward to hearing from you and I continue to nurture the hope of witnessing the launch of iPhone 4 in India at an affordable price point.